In 2019, the most difficult part about going to college isn’t choosing where to go or what to study, but deciding how to pay for it via student loans. If you’re wondering how to get a student loan, then you’ve come to the right place, because in this Guide I’m going to explain exactly what student loans are, how they work, who they’re for, and how to pick the best loan for you. Everyone’s heard all the horror stories about student loan debt, but that doesn’t mean you should Avoid Getting a Student Loan if you’re dead-set on attending a four year college degree program that you can’t afford. There’s nothing wrong with taking out a student loan, using it to pay for your college expenses, then spending years paying back the money you borrowed; that’s how generations of Americans have financed their college dreams. But there is something wrong with going into this process blindly, grabbing whatever loan comes your way first, and failing to properly plan for a future where you’re able to actually pay that loan off. This Guide will walk you through that process to ensure that you don’t end up trapped forever by student loan debt. What Are Typical Student Loan Interest Rates? Who Should Consider Private Student Loans? 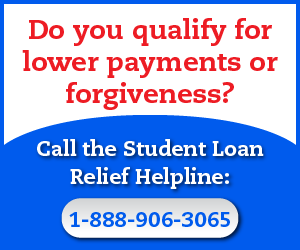 What Are the Best Private Student Loan Companies? Can I Avoid Student Loans Entirely? What Else Do I Need to Know About Student Loans? 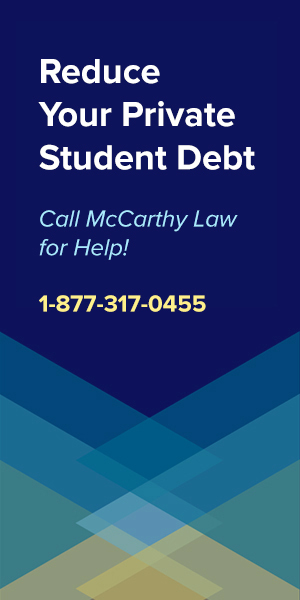 After reviewing this Guide, if you still have any questions about getting the right student loan, feel free to post them in the Comments section at the very bottom of this page. I review Comments daily, and will do my best to get you a response within 24 hours! Student loans are pretty straightforward – they work just like any other form of borrowing money, where you’re given a certain amount of money for a set period of time, charged a set interest rate for the convenience of being able to borrow that money, and then told you have to pay the money back starting at some point in the near future. The only real difference between student loan debt and other forms of debt, like mortgages, credit card debt, legal debt and medical debt, is that student loans are offered to young people with no real-world experience, no established credit, and basically no ability to determine whether or not they really should be borrowing that money in the first place. Honestly, that’s as simple a breakdown as I can offer to explain how student debt works, and while it looks pretty clean and easy to understand, the important thing to realize is that there are all sorts of ways for this to terribly wrong if you make any mistakes along the way. Why Should You Pay Attention to This Guide’s Advice? Fortunately, you’ve found my Guide to How Student Loans Work which means that you want to understand them in detail, and in this Guide I’m going to walk you through the entire process of figuring out how you should approach student loans, which ones you should take, and how you can deal with them after you’ve borrowed the money, gone to college and graduated. Read through this Guide for all the details you need to ensure you don’t end up getting buried by student debt, and if you have any questions, please feel free to post them in the Comments section at the bottom of this page. Finally, as you’re reading through the Guide, I’m going to include links to tons of other topics that relate to dealing with student debt after you’ve already borrowed it, and I’d advise you to at least skim some of those articles to get an idea about the options you’ll have when it comes time to actually start paying back your loans. Knowing about those options is going to make it much easier to decide which loans you should borrow, how much you should take, and how you’re going to approach paying the debt off, which will help ensure that you don’t end up buried in debt, miserable and lost later on. Doing a little planning now can save you tens of thousands of dollars later, so don’t neglect this important part of the process! There are two main types of student loans – Federal Student Loans and Private Student Loans, and while they basically work the exact same way, there are significant differences in the details, which you’ll certainly want to understand before determining which type of loan is right for you. The biggest differences start coming into play when it’s time to pay the loans off, and especially if you end up having trouble affording the debt, because Federal loans come with much more flexibility, much better repayment options, and far more benefits like forgiveness, discharge and other assistance programs. I’ll explain all these differences in detail later on in this Guide, but for now, just keep in mind that you want to use Federal Student Loans as much as possible because they are much cheaper, much more flexible and much better in the long run than Private Student Loans. If you only listen to one piece of advice from me, it should be this: if you can figure out a way to do it, then you should avoid Private Student Loans entirely! Before proceeding, let’s look at a quick look at an overview of the Pros & Cons of Federal vs. Private Student Loans so that you can get an idea about the advantages and disadvantages each come with. As you’ll see, and as I keep trying to make clear, Federal Student Loans are typically a much better option than Private Student Loans, and in virtually every way. Now, compare all those Pros listed above to the many Cons you see below. Trust me, if you can avoid them, you will want to steer clear of Private Student Debt! Con – Typically, no grace period after graduation, and some loans even require you to start making payments while you’re still enrolled in school! After reviewing the Pros and Cons listed above, why would you borrow Privately? Typically, only because you have to, or because you haven’t done enough research to understand the differences. Fortunately, you won’t find yourself in that situation because you’re here, reading this Guide! Now, let’s look at the different types of Federal Student Loans, as there are important distinctions between them and you’ll certainly want to understand these before deciding which types of loans will work best for you. The most important thing to think about when getting a Federal Student Loan is that you should be trying to get as much Subsidized money as possible – for reasons that will become obvious in just a moment – but basically, because they end up being far cheaper in the long run. There’s one other type of loan that’s NOT a Direct Loan, called a Parent PLUS Loan, which I’ll also explain in detail below, but which is much more rare than the four types of loans mentioned above, because Parent PLUS Loans are taken out by parents of the student, rather than the student themselves. In the old days, people were also able to get Federal Student Loans under the Federal Family Education Loan Program (called FFEL Loans), but since that’s no longer available, I’m not going to cover those loans here. The best type of student loan you can possibly get is called a Direct Subsidized Loan. Perhaps the best part of Subsidized Loans is that last point listed above, the fact that you will not be responsible for interest costs, because it’s what makes Direct Subsidized Loans so much more affordable than other types of student loans. My advice to anyone considering borrowing money to go to school is that they get as much of it as possible via a Direct Subsidized Loan. Only after you’ve exhausted the funds allowed under this program should you even consider looking elsewhere for cash! For full details on how Subsidized Loans work, including how to apply for them, how to pay them off quickly, and whether or not they’re right for you, be sure to visit my Guide to Federal Direct Subsidized Loans. Federal Direct Unsubsidized Loans are another option available to get money for school from the Federal Government, and they’re the 2nd best option for anyone looking for funding assistance. As you may have surmised by reviewing the list above, there’s really only one big difference between Subsidized and Unsubsidized loans, which is that Unsubsidized loans WILL accumulate interest at all times. That means that even during the Grace Period, while your loans are in Deferment, and even while your’e still enrolled in school, your debt will be growing by interest accumulation, which increases the amount you’ll have to pay back over the lifespan of your loan. For full details on how Unsubsidized Loans work, including how to apply for them, how to pay them off quickly, and whether or not they’re right for you, be sure to visit my Guide to Federal Direct Unsubsidized Loans. The Federal Government uses the name “Direct PLUS Loans” to refer to two radically different types of loans: Parent PLUS Loans and Grad PLUS Loans. To make things a little simpler, this section will cover ONLY Grad PLUS Loans, and I’ll go through Parent PLUS Loans separately in just a moment. Either way, the first thing I want to point out is that both types of Direct PLUS Loans are a type of loan you hope you won’t have to use, because qualifying for them requires going through a credit check. In fact, you can only get a Direct PLUS Loan if you do not have credit problems, because people with an “adverse credit history” are unlikely to be approved for a PLUS loan! For all the reasons I outlined above, my advice is to ONLY consider taking out a PLUS loan if you can’t get a Direct Subsidized or Direct Unsubsidized Loans, as PLUS loans are a distant third in terms of their value. For full details on how Grad PLUS Loans work, including how to apply for them, how to pay them off quickly, and whether or not they’re right for you, be sure to visit my Guide to Federal Grad PLUS Loans. Parent PLUS Loans are really similar to Grad PLUS Loans, but they are only available to people who are parents of a Dependent Undergraduate student. Basically, these are loans that your parents are able to take out on your behalf, and which you can then use to pay for your college costs. In some cases, Stepparents and Grandparents are able to get a PLUS Loan on behalf of their Stepchildren and Grandchildren, but it’s not always an easy process. Like I explained in the section above about Grad PLUS Loans, Parent PLUS Loans are not your best option, and should only be utilized after you’ve exhausted all options for getting a Direct Subsidized or Ubsubsidized Loan. Why? Because PLUS Loans typically have a higher interest rate, they aren’t eligible for the best Income-Driven Repayment Plans, and they’re much harder to get rid of via Federal Forgiveness Programs. For full details on how Parent PLUS Loans work, including how to apply for them, how to pay them off quickly, and whether or not they’re right for you, be sure to visit my Guide to Federal Parent PLUS Loans. Federal Direct Consolidation Loans are another type of Federal Student Loan, but one that you can’t get unless you’ve already got at least two existing Federal Student Loans. Why? Because a Direct Consolidation Loan combines existing Federal Loans into a new loan, allowing you the convenience of having a single loan, which means a standardized interest rate and only having to make single monthly payment. Sometimes, the Direct Consolidation Loan will also be eligible for new Federal Student Loan Relief Programs, like better Repayment Plans or Forgiveness Programs, but oftentimes they make things worse. What this means is that in some cases, Direct Consolidation Loans are a great idea, but in others, they can become an absolute nightmare, so while many “experts” will tout consolidation as a way to save money (or at least reduce monthly payments), you’ll need to be exceptionally careful about when you choose to consolidate! One thing I absolutely want to point out before moving on is that there is NO COST to consolidate Federal student loans; it’s entirely free, and something that you can do yourself, or with the help of your Loan Servicer. 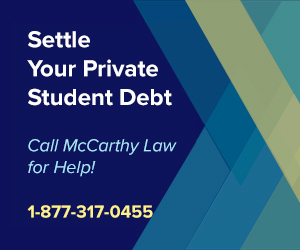 If you get a phone call, email, or letter from a company telling you that they can save you money by consolidating your debt, for just a small fee, then you may want to ignore it, because oftentimes those come from Student Loan Scammers! To find out if you should consolidate your debt, then learn how to do it if that’s the right option for you, make sure to visit my Guide to Consolidating Federal Student Loans. Now that we’ve covered Federal Student Loans in detail, let’s turn to their ugly, expensive, and honestly horrible alternative: Private Student Loans. To start, let me make one thing clear: if you can avoid Private Student Loans, do so at all costs! You should ONLY consider taking out a Private Student Loan if you’ve already exhausted ALL of your Federal Financial Aid options, because Private student loans are NEVER a good idea compared to borrowing Federal funds. With that said – many people are forced to take out Private Student Loans because they’ve maxed out their Federal funds, or because they don’t qualify for a Federal loan, for any number of reasons. And like Federal Student Loans, there are all sorts of different types of Private Student Loans, but on the Private side, the biggest differences are typically based on who gives you the loan. There are all sorts of Private Student Loan lenders, from Banks to Credit Unions to independent Student Loan Providers, but the most important thing to consider when taking out a Private Loan is what your interest rate will be. Most people who end up buried in Private debt got there because they didn’t pay attention to how interest capitalization works, they failed to make interest-covering payments while they were in school, and ended up owing way more money than they thought they would ever have to pay back. Please remember that you should avoid Private Student Loans at all costs, if you can, because they’re more expensive, harder to pay off, and much harder to get rid of via Forgiveness, Discharge or Bankruptcy Programs. However, if you do find yourself needing to take on Private funding, please make sure to review my Guide to Getting the Best Private Student Loan before signing the dotted line! Student Loans can be used to pay for all sorts of costs, not just Tuition, or even just Tuition, Room and Board, but many other expenses associated with going to school. Typically, the things student loans can be used to pay for are divided into Tuition Expenses and School Fees, or Living Expenses. Basically, anything that you can prove is related to the cost of attending your college, or which is somehow required to complete your academic program can be paid for via student loans. That list of things includes all of the standard, obvious costs like Tuition, Room & Board (“Board” means Food), Textbooks, School Supplies (Pens & Pencils, Notebooks, Paper, etc.) and School-Related Equipment (Computers, Laptops, Calculators, etc. ), but it also includes all sorts of other things that you may have never even considered. Can Student Loans Be Used for Non-Educational Expenses? In reality, student Loans can certainly be used for things like the Travel Costs required to get to and from campus, or for traveling abroad if you study overseas, Child Care or Dependent Care required so that you can free up time to go to classes, and even Disability Accommodations that are necessary to help you go to school or successfully complete your program, which could include anything from specialized equipment to a private tutor. If you can prove that the expense will help further your education, then you are basically going to be able to use student loan funding to pay for it. But I do want to offer a quick word of advice here, because one thing that happens to tons of Undergrads is that they start spending Student Loan funds like it’s free money; remember, the more you spend, the more you’ll have to borrow, and the more you’ll have to pay back later, with added interest. Don’t fall into the trap of funding unnecessary costs with student loans, because you’ll end up digging yourself into a massive debt hole that’s impossible to ever get out of! I personally know several people who made this mistake while we were in school, all of whom absolutely regret spending student loan money on concerts, vacations, new phones, clothing and even drugs or alcohol. Don’t do it, because you’ll definitely wish you hadn’t later. For full details on what you can spend student loan funds on, be sure to visit my Guide on What Costs Do Student Loans Cover. How Much Money Can I Borrow via Student Loans? First, let me make one thing clear: only Federal loans limit how much you can borrow, as there’s no cap to how much money a Private lender is able to give you. But as I’ve said earlier, let that be a word of caution, because you certainly won’t want to borrow more than you need, or you’ll end up buried in debt and unable to ever pay it all back. Below you’ll find a detailed table showing exactly how much you are allowed to borrow from the Federal Government, based on what year you are and whether you’re a Dependent or Independent student. For additional information, visit my Guide to Figuring Out How Much You Can Borrow via Student Loans. As I mentioned above, here’s a Table showing the breakdown of loan caps depending on how long you’ve been a student and whether you’re a Dependent or Independent Student. NOTE: In May, 2019, President Trump proposed changing the caps of Federal student loan borrowing limits, though he did not provide details about what he would change those caps to. I’m watching this closely and will be updating my Guide to Federal Student Loan Borrowing Limits anytime that new details are released. Just like I’ve pointed out repeatedly above, there’s a big difference between Federal and Private loans when it comes to all sorts of elements, and Interest Rates is another place where they diverge. Typically, you’re going to qualify for a better (read: lower) interest rate with Federal Student Loans, but that’s not always the case, so in some instances, it may actually be in your interest to borrow Privately (if you’re sure you’ll be able to pay it back!). Here’s the thing, Federal Student Loans are much easier to predict, because everybody gets assigned the same interest rate, depending on what type of loan they take out. Private Student Loans come with varying interest rates, depending on where you get the loan, how much you borrow, how old you are, what your credit history looks like, etc., so they’re much harder to predict. However, below I’ll do my best to give you a feel for the type of interest rate you can expect with each type of Federal Student Loan and the typical Private Student Loan as well. Remember, virtually every Federal Student Loan is going to include some form of interest, meaning that you’ll end up having to pay back MORE than you originally borrow (the Principal amount of the loan). Each month, or year, or depending on your repayment plan, interest will accumulate, get capitalized (added to the principal amount you owe) and your remaining balance will increase, unless you’re making payments large enough to cover both the principal payment amount, and whatever interest is accumulating on your debt. Here’s a table showing the current interest rates for Federal Student Loans, which depends on the type of loan you get, and on the type of borrower that you are. NOTE: These Interest Rates are for Direct Loans disbursed on or after July 1, 2018, and before July 1, 2019, when the interest rates will change again! This is the single-most important part of the borrowing process to understand, because it’s the part that gets the most people in trouble! For whatever reason, people just don’t seem to understand how interest and especially compound interest works, and end up surprised when they’ve made years worth of tiny payments, only to find out that they owe more money than they did in the first place! But you’re not one of those people, right? You’ve found my site, you’re doing your research, and you will do the math to ensure that you know exactly how much you’re borrowing, what you’ll be charged in interest, and how much you”ll end up needing to pay back. Right? Good! 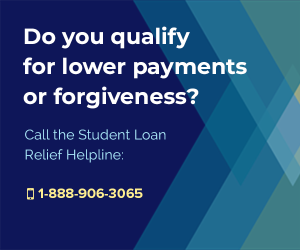 To see just how much you may end up owing, take a look at the Official Federal Student Loan Repayment Estimator Calculator, which you can find here. And finally, before you agree to sign any paperwork, make sure to first have a quick look at my Guide to Federal Student Loan Interest Rates. Unlike Federal Rates, Private Student Loan Interest Rates AREN’T set by Congress and in some cases, have very little to do with the performance of 10-year Treasury notes; instead, they’re set by market forces (Capitalism, baby!). This could be a good thing, or a very bad one, depending on who you’re getting your loan from, how well the economy is performing, what your credit score looks like, along with a myriad of other conditions that’ll factor into the calculation of determining your eventual interest rate. Private student loan interest rates can also fluctuate, whereas Federal loans are fixed for the lifespan of the loan, meaning that you could get a really nice, low, introductory rate that ends up skyrocketing after the initial 5, 10 or whatever-long fixed rate period expires. When shopping for a Private student loan, it’s vital that you pay close attention to the interest rates you’re being offered, whether or not you have to pay an origination fee to take out the loan, and what your repayment terms will be, because those are the three factors that will make the biggest impact on determining how much you’ll end up having to pay back down the line. And as I’ve said repeatedly throughout this Guide, you really should try to avoid borrowing Private Student Loans, because they’re typically more expensive and less flexible than Federal loans, but there are certainly instances where private funding becomes the best option. For full details on how to shop for the best rate, how to evaluate rates vs. other costs, and ensure that you get the best possible loan, make sure to visit my Guide to Private Student Loan Interest Rates. Most of the time, it IS still possible to get a student loan with bad credit, or even with no credit at all, but depending on who you’re trying to borrow from, this may not be the best idea. Let’s go through each of these situations in detail to explain the pros and cons, talk about how the process works, and give you a better idea of which path would work best for your specific financial situation. Remember way back up above when we went through the different types of Federal Student Loans? You’ll recall that Subsidized and Ubsubsidized Direct Loans DO NOT require a credit check, which makes them the single-best option for borrowing money if you have bad credit. If you can swing it, then your first step in the process to getting a bad credit student loan should be filling out the Federal FAFSA and attempting to qualify for a Federal Direct Subsidized or Ubsubsidized Loan. Remember, these are the best types of student loans, period, not just for people with poor credit, so they are definitely what you’d want to aim for first. However, in many cases, you won’t qualify for a Direct Subsidized or Unsubsidized Loan, not because of credit problems, but for other issues, and if you run into one of those situations, then your next attempt should be to pursue a Student Loan Using a Cosigner. For full details on how this works and how you should approach the process, visit my Guide to Getting a No Credit Check Student Loan. NOTE: Virtually NO Private Student Loan Lender is going to offer a No Credit Check Student Loan, and any of them that do probably aren’t worth talking to in the first place, because they’re likely to have the highest interest rates, origination fees, and costs. If your credit is so bad that you can’t qualify for a loan of your own accord, or if you simply haven’t established any credit yet, but can’t qualify for one of the No Credit Check Loans mentioned above, then it may be time to consider attempting to bring a Cosigner into the mix. What is a Cosigner? Someone who vouches for you as an upstanding citizen, who aligns their good name (and high credit score!) with your mission, and who basically tells the Federal Government or Private Bank that you’re trying to borrow money from that THEY will pay them back EVEN IF you fail to do so. 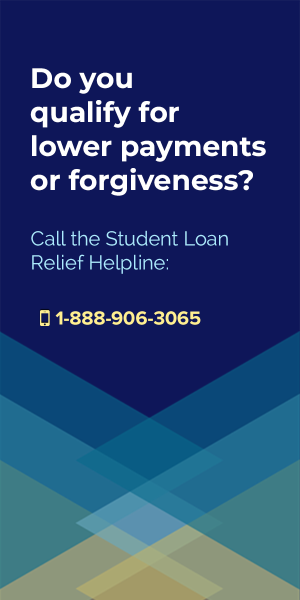 Typically, only Parents, Grandparents, Spouses, Relatives or Significant Others are willing to cosign for student loans, but you never know who may be willing to help out if you know how to ask nicely! Before pursuing the worst type of student loan of all – the bad credit student loan explained below – I would highly advise attempting to talk a friend or family member into cosigning for you on a higher-quality, less-expensive student loan, because that’s going to cost a lot less in the long-run. Just make sure of one thing – don’t leave your Cosigner hung out to dry! If you really aren’t certain that you’ll be able to make those future monthly student loan payments, then don’t drank someone else down into the morass of endless student loan debt, avoid utilizing a cosigner, and simply skip to the next option, which is getting yourself a bad credit student loan. To be sure you understand exactly what the Cosigner process looks like, visit my Guide to Getting a Cosigner Student Loan. If you can’t get a Cosigner to help vouch for you when attempting to take out a student loan, then your next best option will be to simply pursue a bad credit student loan. These types of loans are almost certainly going to be more expensive thanks to higher interest rates, origination fees, and less flexible repayment terms, but if you’re desperate for funding then you may have no other options. However, even if you do choose to utilize a bad credit student loan to pay for college, you should still try to get as much of the funding from the Federal Government as possible, before you go relying on Private Lenders. If you can’t get a Federal Direct Subsidized or Unsubsidized Loan, and if you can’t secure a Cosigner to help qualify you for a better interest rate, then your next step should be attempting to qualify for a Federal PLUS Loan, which does require a credit check, but which can be taken out even by people with terrible credit scores! Finally, if the Federal Government isn’t willing to lend you any money, then you may have to resort to alternative financing options and taking out a Bad Credit Private Student Loan. Just keep in mind that Private Lenders are likely to rake you over the coals if you’ve got bad credit, either denying you outright, or requiring you to pay a huge interest rate. In fact, you’ll want to be prepared for sticker shock, and shouldn’t be surprised to find bad credit private loans coming in with interest rates over 10%, sometimes even into the mid-teens, which means that your loan is going to be exceptionally expensive in the long-run. But as long as you’re studying an in-demand field, are certain that you’ll be able to line up a decently paying job, and willing to make the sacrifices needed to get those monthly payments sent in on time, this may end up being your best option anyway. For all the information you need to know about getting a loan with poor credit, take a look at my Guide to Bad Credit Student Loans. In most cases, the student loan borrowing process is relatively quick, taking a couple weeks to a couple months (at most! ), but that really all depends on what type of loan you’re trying to get, and what sort of situation you find yourself in. I will tell you that it typically takes much longer to apply for, be approved for, and receive funding for a Federal Loan, because Private companies just tend to be more efficient than the Federal Government, but that doesn’t mean you should avoid Federal funding! I would highly advise that you start the applications and shopping process as early as possible, because you certainly don’t want to find yourself desperately scrambling for an Emergency Student Loan, which tends to come with the highest interest rates, worst repayment options, and essentially the highest costs. To give you a better feel for just how long it may take to apply for, get approved for, and receive your funds, let’s take a detailed look at the timing for both Federal Loans and Private Loans. How Long Does it Take to Get a Federal Student Loan? Federal Loans happen slowly, because they involved the Federal Government, but also because they require a ton of paperwork. You can’t even apply for a Federal Loan without first filling out the Free Application for Federal Student Aid (FAFSA), which in and of itself could take just a few minutes, or several months to complete, depending on how quickly you can round up the required information. Once your FAFSA’s been submitted, the Federal Government will coordinate with your school’s Financial Aid Office to issue you a Financial Aid Award Letter alerting you to to the types of assistance you’re eligible for utilizing. At this point, you’ll need to choose which types of Scholarships, Grants or Loans you want to pursue, sign a Master Promissory Note that becomes the legal document asserting you want the money and will do whatever is required to pay it back, and then your school will start disbursing the funds that you’ve chosen to accept. This whole process could be completed as quickly as a couple months, but it could also end up taking many months depending on all sorts of variables, so it’s best to start the process as early as possible! For full details on exactly how this process plays out, but especially how long it might take, be sure to check out my Guide to How Long it Takes to Get a Federal Student Loan. How Long Does it Take to Get a Private Student Loan? As I mentioned previously, Private Student Loans tend to be much faster than Federal Loans, since there’s far less paperwork and fewer individuals or organizations involved in determining whether or not you’ll be able to access any funds. Some private lenders can make decisions about offering you money within mere minutes, while others may take a couple days, or even up to a couple weeks, before they’re able to process all your details and make a determination on your application. Typically, private student loans are disbursed about 2 weeks to 2 months after they’ve been approved, so again, just keep in mind that even private loans aren’t likely to happen overnight. I would expect the entire private lending process to take something like 3-10 weeks from start to finish, so again, you’re still going to want to start this as early as possible in order to avoid ending up in an emergency funding situation. For full details on timing, visit my Guide to How Long it Takes to Get a Private Student Loan. Sometimes, even if you’ve planned everything properly, spent hours ensuring that all your paperwork was handled correctly and done everything you could to ensure that you had the funding in time for school, everything goes wrong and it all falls through. In those cases, it’s important to know that there IS a potential solution for raising money quickly, often referred to as “Emergency Student Loans”, but also commonly called “Quick Student Loans”. I’ll tell you that you don’t want to go down this path unless you absolutely have to, because emergency loans are typically much more expensive than standard loans, thanks to the fact that the lender ends up having to move more quickly, and take on more risk. With that said, it’s certainly worth considering utilizing an emergency student loan if your money runs dry and the tuition bill is coming due, so for details on how to handle the process, please visit my Guide to Getting an Emergency Student Loan. I’ve already covered a bit of this process above, but let’s go through it in detail now. First, you should be aware that there’s a slightly different application process for Federal vs Private student loans, but that you’ll need most of the same pieces of information anyway no matter which path you decide to pursue. Some people try to just take out Private Student Loans, having heard that they’re faster and easier to apply for, but the reality is that Federal Student Loans will take a bit more work to get thanks to the FAFSA requirement (which I’ll explain below), but they end up being far cheaper and better in the long run, so spending a little extra time and effort now will be worth it down the line. 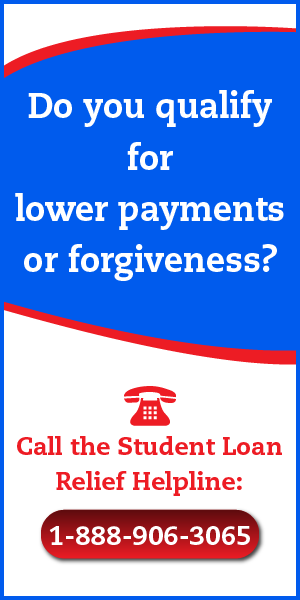 With that said – what do you actually do to apply for a student loan? Let’s look at how the process works first for Federal Student Loans, then Private Student Loans. SO many people go to Google and search “How to Get a Federal Student Loan”, because for whatever reason, people find themselves mystified by the process of actually applying for funding. Fortunately, I’m here to tell you that it’s really not all that complicated, though it will require a bit of research, some paperwork, and some effort. But nothing in life that’s worth getting comes easy, so buckle up, gather your financial details together, and let’s go through the steps required to apply for a Federal student loan. To get a Federal Student Loan, the first thing you’ll need to do is fill out the FAFSA, which stands for the Free Application for Federal Student Aid, which is required in order to apply for a student loan. The FAFSA doesn’t just cover student loans though, it’s also the way to qualify for Federal Scholarships, Federal Pell Grants, and Federal Work-Study Programs, all of which can help you avoid having to borrow a student loan in the first place, so you definitely do want to start here! After you’ve filed the FAFSA, your school is going to review it and then provide you with something called an “Award Letter” that shows exactly what kind of financial assistance they’re going to give you, including Federal Student Loans, Scholarships, Grants and Work-Study opportunities. After reviewing the financial aid offer your school provided, you’ll have to determine whether or not you want to accept their offer or not. This may be the most important part of the entire process of dealing with your eventual student debt, because your decision about what you’re going to borrow, and how you’ll borrow it, is going to decide exactly what your options look like down the line. 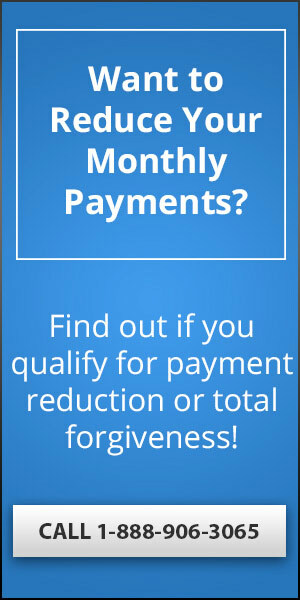 Remember, Federal loans are much easier to deal with once you move into repayment, as you’ll have access to all sorts of different Federal Student Loan Repayment Plans, including Income-Driven Repayment Plans that let you qualify for monthly payments based on the amount of money you make, providing you with way more flexibility than you’d get from a private loan! You’ll also have a much easier time pursuing things like like Student Loan Forgiveness, Student Loan Discharges, as the Federal loan benefits programs are comprehensive, whereas Private loans don’t really offer anything at all along these same lines. 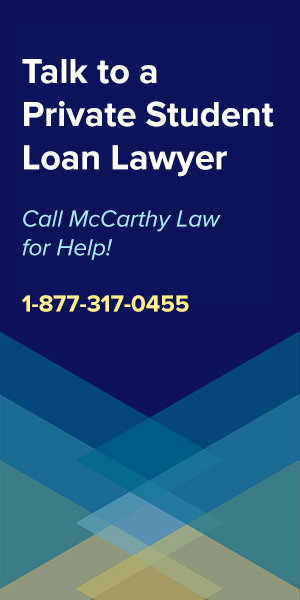 Also – Federal loans have huge advantages for people who end up getting into trouble with their debt by falling into Student Loan Delinquency or Default, because they allow you to use things like Federal Student Loan Deferments or Forbearances, which temporarily pause your loan payments. 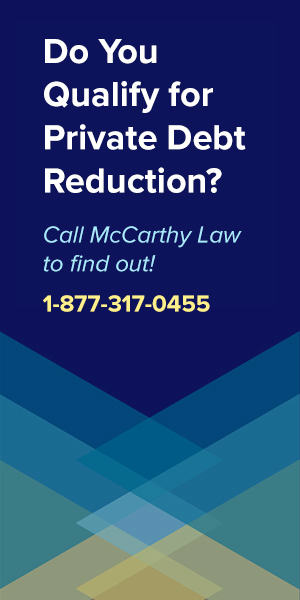 Should you fully Default, you won’t be stuck with the nightmare of being hounded by debt collectors calling you, sending letters and harassing your employer and family, because you’ll also have access to programs designed to help struggling borrowers, like the Federal Student Loan Rehabilitation Program. Why am I pointing all of this out in the section on picking the right financial aid package? Because it’s really, really important for you to understand that you SHOULD NOT BORROW PRIVATE STUDENT LOANS unless you absolutely HAVE TO! If you only listen to one piece of advice from this article, or even my entire website, it is to avoid private student loans no matter what. I would advise waiting to go to school, working full-time and attending school part-time, or doing anything else you can to prevent from having to borrow private loans. You don’t actually HAVE to do this, but I’m trying to set you up for LONG-TERM SUCCESS, and ensure that you don’t end up being one of the desperate people freaking out in my Comments sections who owes 20 times more money than they originally borrowed, so listen up! Once you’ve selected your Federal financial aid package and used it to pay for college, the most important thing you’ll need to remember is that you should start paying your loans back IMMEDIATELY after graduating! Why would you do that when there’s such a thing as the Federal Student Loan Grace Period, which allows you to avoid having to make any payments for up to 6 months before you have to start issuing repayments? Because the longer you wait to start paying the loans back, the more interest is going to accumulate on your debt, and the more money you’re probably going to be making, both of which mean that you’re going to end up owing and having to pay way more than you would had you started making payments right away. If you have Federal Subsidized Loans, this isn’t as big of a deal, since the Government covers the interest accumulation for you, but for anyone with an Unsubsidized Loan, this can make a HUGE difference in reducing the long-term costs of your student debt. The key thing to consider here is that you always want to deal with your student loans head-on, as quickly as possible, because this will reduce the chances that you end up an inflated debt, owing way more than you originally borrowed, and facing huge monthly payments that you cannot afford. Remember, the one simple trick to handling student loans properly is to take care of them RIGHT AWAY! Before we go through the HOW part of the process, let’s first go through the WHY. As I’ve said throughout this post, getting a private Student Loan is slightly simpler and faster than getting a Federal loan, but you should really only pursue it if you don’t have other options. Please listen to me when I say this, because I couldn’t be any more clear about this advice: DO NOT GET a private loan unless you have to, because they’re more expensive and less flexible than federal loans, and they’re much more likely to lead you to getting buried in excessive debt. With that said, if you’re thinking about getting a private student loan then there are several important considerations to take into account before determining whether or not it’s truly a good idea. Below, I’ll detail all of the reasons why someone should consider taking out a private student loan. If you aren’t facing at least one of these situations, then I would highly advise you avoid borrowing privately, and that you rely on the traditional, cheaper, better Federal student loan programs instead. When Should You Consider Getting a Private Student Loan? Outside of the situations listed above, I’d strongly advise against taking private funding for college, but that decision is entirely up to you! If you do decide to borrow privately, then here’s the process you should follow in order to make sure you get the best loan possible. The first part of the process in getting a private student loan is certainly going to be researching the different companies operating in the space, comparing them vs. each other, and determining which ones you should apply to. Discounts & Deals – Some lenders offer discounts or savings, like for having good grades, making enough payments on-time, etc. You’ll have to pay pretty careful attention when choosing which private lenders to apply to, because it’s really difficult to weed through all the marketing material posted online. To help make things a little easier, visit my List of the Best Private Student Loan Companies as a launching off point, then do your own research on each of the Companies I’ve included in this year’s results. To keep this process as streamlined and straightforward as possible, I’ve reduced it to being just three steps, with Step 2 being actually submitting your loan applications. Each company is going to handle this part of the process differently, with some private lenders letting you do everything electronically, others requiring phone calls, and some demanding that you actually appear in person, or send information to them via snail mail. Honestly, everybody does it differently in the private lending space, so you’re just going to have to ask each company that you apply to what they need, and how they want to receive it. This part of the process can be a pain, trust me, I’ve been there, but the more applications that you fill out, the more approvals you should theoretically receive, and the better chances you’ll have at getting the loan that’s right for you! Once all your applications are submitted, it’s time to put your feet up, kick back and relax, because you may need to wait a bit to get a response. However, once they start rolling in, you’ll need to look at the approved offers you receive and start comparing them against each other to determine which company has provided the best offer. 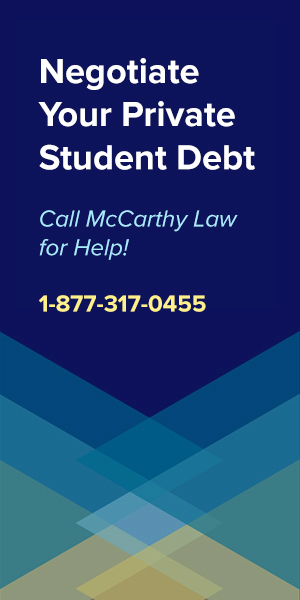 Remember, the best student loan is the cheapest student loan, but not just in terms of monthly payments; you have to consider the full lifetime cost of the debt! As I mentioned previously, the most important factors to consider when evaluating one offer vs another are going to be how much you’re being offered, what the interest rate is on the loan, how much you’re being charged in origination fees, and what the repayment terms look like. This is the part of the process that you’ll want to make sure you get right, because picking the wrong loan could cost you tens of thousands of dollars, while making the right decision could save you from a lifetime or debt and hassles. If you aren’t good with finances or math, then find someone who is, and make sure that you ask several people that understand how loans and interest work for their input on which offer sounds best. There are really two different types of private student loan companies, one being independent lenders or financial institutions who are not big banks, and the other being big banks. Many people choose to borrow their private loans from big banks because it tends to be a more predictable experience. What do I mean by that? Big banks have to abide by strict guidelines that smaller lenders may be able to avoid, they are typically fully staffed by experts, and they can usually get things done quickly. That’s not always the case for smaller private student loan companies, so if you’re at all concerned about anything going wrong with your loans, then you might want to take them from a big bank too. First, let’s look at my favorite banks that offer private student loans. But big banks aren’t the only institutions offering private student loans these days, as I mentioned above, there are lots of other organizations currently offering similar loans (sometimes even better loans!) than the banks themselves. There’s even been a huge explosion in the number of entirely online lenders willing to provide private student loan funding, and some of these groups have even become so large that you may be familiar with their names from hearing them advertising on TV! That concludes my list of the best private student companies for the year. While I’m highly against taking out private loans if they can be avoided, I will say that each of these companies can be trusted to offer a solid loan with decent repayment terms and a reasonable interest rate (if you have good credit). Just keep in mind that there’s a ton of variability in terms of what you’ll be offered from each company, depending on your credit score, the amount you want to borrow, their assessment of your ability to pay it back, etc. 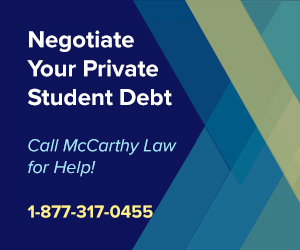 To ensure that you get the BEST private student loan possible, I would highly advise contacting ALL OF THESE COMPANIES to request a quote so that you can shop them against each other and negotiate using the other offers. For full details on each of these companies, including pros and cons, and all the other details you need to know about private student loan financing options, be sure to visit my Guide to the Best Private Student Loan Companies for 2019. Is It Possible to Avoid Student Loans Entirely? I have an entire several-thousand word Guide on Avoiding Student Loans that goes through the topic in detail, but there are definitely ways to get your college degree without having to take out student loans. Starting at a Community College – Trade the “traditional” college experience for a lifetime of being debt free! Take Free Online Courses – With the explosive growth of free online courses from accredited colleges and universities, why pay for an old-school education? Become an Online Content Creator – Build a website like this one! Start a YouTube Channel. Get to Influencing on Instagram! It’s FREE to start! For more ideas, simply hit Google and you’re sure to find other options, from begging to pan handling to launching a Kickstarter. The options are virtually endless, and there’s truly no reason to feel like student loans are the only way to finance higher education in the modern era. There has literally never been a better time to get your education in some other way than via traditional college degree programs, so don’t be afraid to take a risk and try something different! What Else Should I Know About Student Loans? While I’ve got your attention, let me give you a good piece of advice – before deciding which loan to take out, or even how much to borrow, you might want to look into the forgiveness, discharge and relief opportunities available for both Federal and Private loans. And if you’re interested in doing that, then you’re in luck, because my website contains over 100 Guides to different elements of the student loan repayment process, covering basically any topic you could imagine. If you have any other questions about student loans, please feel free to post them in the Comments section at the very bottom of this page. I review Comments every single day, and I’ll get you a response as quickly as I can. Maintaining this website is basically a full-time job. I come home from work, and instead of getting to enjoy myself, I read articles about student loan legislation, new programs and opportunities on offer, then I spend each evening updating this website. I spend hours and hours of every single day making sure that the details shared here are accurate, up-to-date, and useful, and the only way I can keep justifying that work is for you to help me out by sharing this site with as many people as possible! If you found my content to be useful, then please do your part to help by sharing a link to my site with your family, friends or colleagues. Post a link to this Guide on Twitter, Reddit, Facebook, or simply email it around! EVERYONE needs help with student loans, so don’t be shy! Thank you for your support, and please make sure to come back soon! When building the Guides for my site, I use a variety of sources from all over the Internet, but I try to get as much of my information as possible from the Official Government Website: https://studentaid.ed.gov, as it’s the first place to go for trusted information.